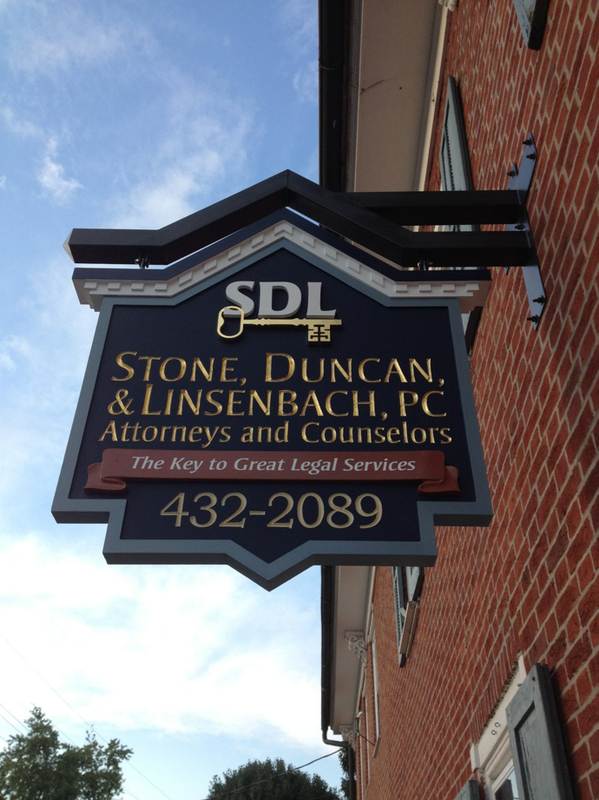 As the proprietor of a sign shop, having a nice-looking sign for your business is a good rule of thumb. 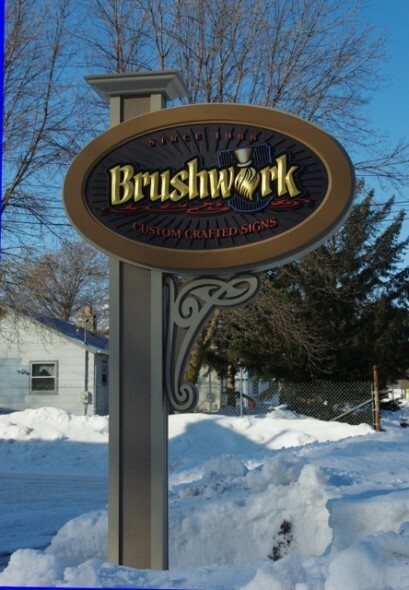 Dave Correll, owner of Brushwork Signs in Faribault, MN, recently decided to make a new sign for the outside of his business – a sign that was featured on the cover of SignCraft magazine! 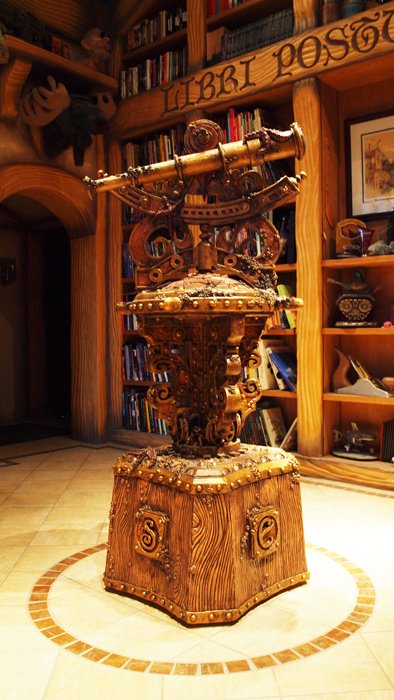 *A great step-by-step article by Sign & Digital Graphics on the time-honored tradition of gold-leafing can be seen here. As many sign makers are aware, smaltz is the technique of adding a crushed glass background to a sign, providing an eye-catching, unique texture. “In order for the glass to properly adhere to the sign, it is necessary to add a binding agent to the glass mixture. 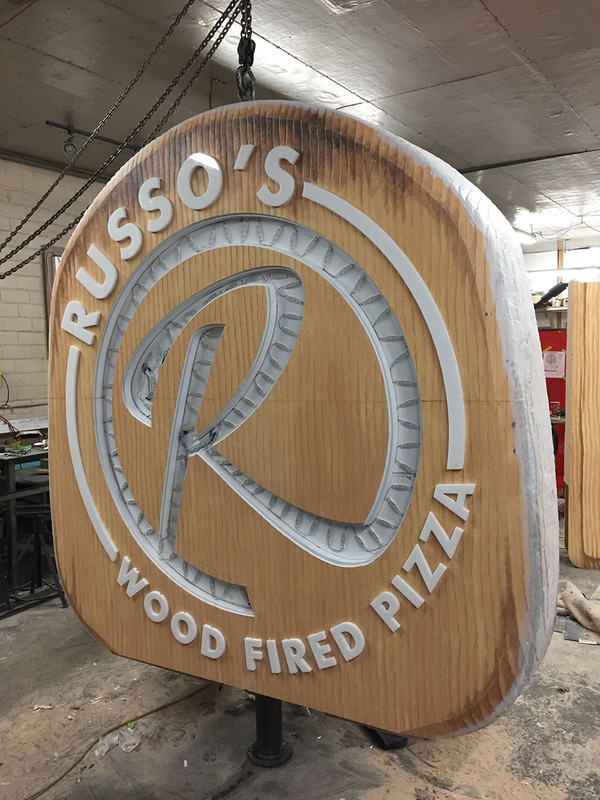 Through my years of adding smaltz backgrounds to 3-D signs, my binder of choice has become a custom mixture consisting of West Systems Epoxy mixed with Ronan Paints lettering enamel, because I’ve found it provides the best adherence qualities,” says Correll. 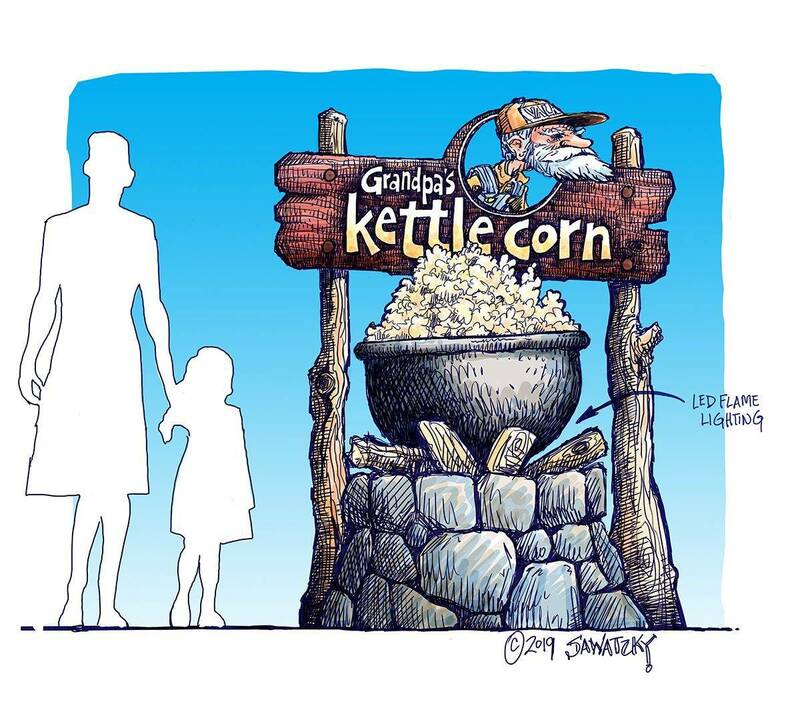 *An excellent SignCraft article on adding a smaltz background can be seen here. The sign was finished with layers of Novacolor acrylic latex paints with a satin sheen to give it nice reflective qualities. 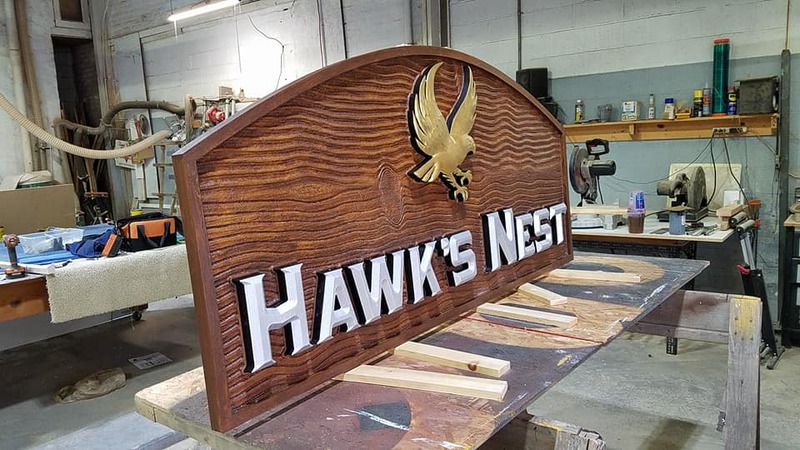 Dave got his start in the sign industry after attending the now-defunct hand-lettering course at the Detroit Lakes Vocational School. 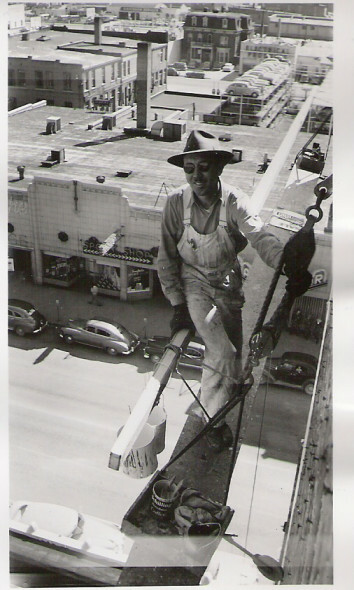 Throughout the two-year course he mastered the art of sign painting, and also met his wife Ann. 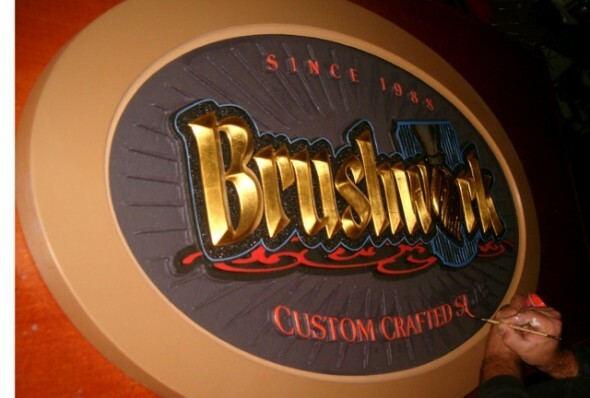 After graduation, they each spent time at different sign shops for several years until the opening of Brushwork Signs in 1988, continuing to this day and specializing in all types of signage. 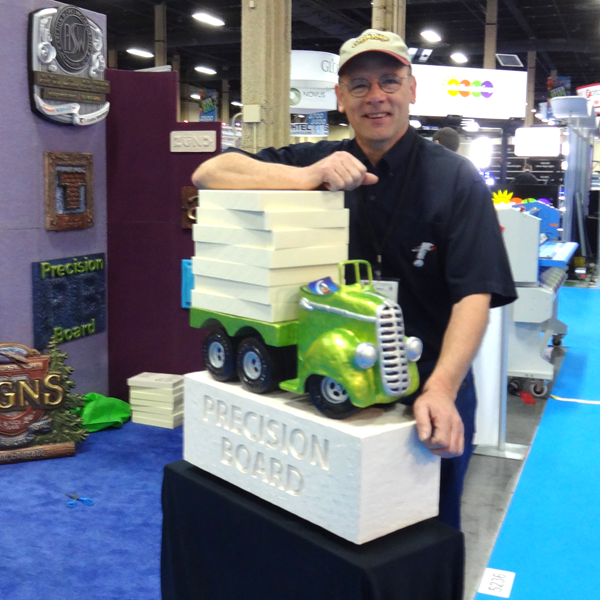 Look for a special project from Dave that will be on display at our booth #1347 at ISA Orlando this year! Additional pictures of quality signs by Brushwork Signs can be seen at: www.brushworksigns.com.